UPDATE: More information on running Windows 7 on 512MB RAM under normal use here. 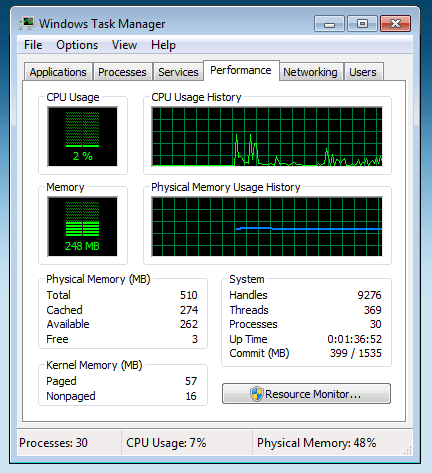 See the task manager performance log below to see how the resources are being used. If you have an older system running on Windows XP (because Vista requires too much of the system), you may want to try Windows 7. *I am not using Aero and only have core programs installed. After much trying [F5 Key], I got a license key. EDIT: You may need to give your F5 (refresh) key a good work out to get a successful page load. Thanks Angad! Login in you Passport account, for example, here. 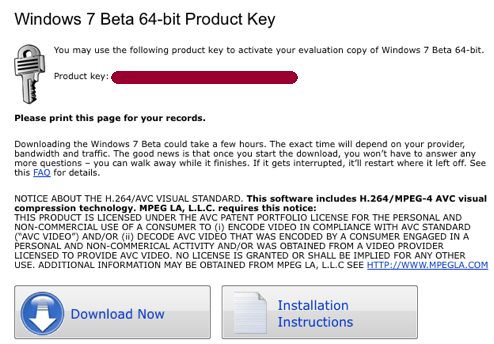 If you’re trying to download a copy of the Beta of Windows 7 today, you should probably hit the torrent trackers–looking for files named “Microsoft.Windows.7.Beta.1.Build.7000.x86.DVD-GENUiNE.iMAGE” for example. Do you have your copy of Windows 7 yet? Will Windows 7 be a Worthwhile Upgrade? A few days ago, I shared my initial thoughts on Windows 7. After spending more time with the operating system, here’s an update. In this review, I’ll explore some of the new features Windows 7 brings and whether I like them or not. I’ll take a look at updated core applications, desktop and window management, home networking, and built-in troubleshooting. 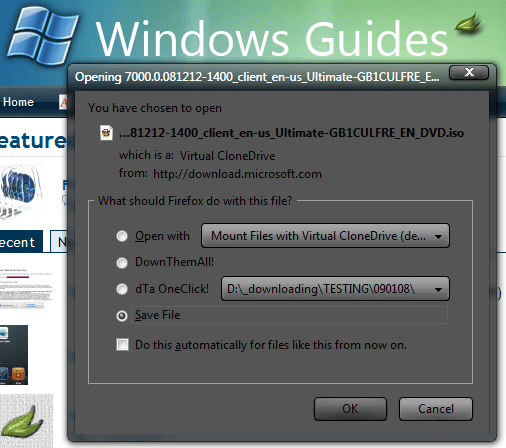 Then you decide… is Windows 7 a worthwhile upgrade? UPDATE: I’ve done a more comprehensive review here: Will Windows 7 be a Worthwhile Upgrade? After a few hours exploring Windows 7, here is what I’ve found so far. Following are my likes and dislikes of the “standard” interface. As you probably already know: if you don’t like something in Windows, you can usually change it to make it work the way you like. My thoughts focus on the default set up of Windows 7 M3.